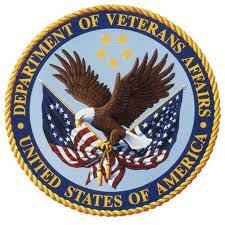 Less than a month after announcing a 1,000 iPad pilot test, the Department of Veterans Affairs is ready to go whole hog and purchase as many as 100,000 tablet computers, many of which will go to clinicians. Even before the test results are in, VA CIO Roger Baker is projecting that tablets will transform the way medicine is practiced in the VA’s 152 facilities, according to Nextgov. The VA’s new penchant for tablets may give Apple its first clear shot at the government IT market, where it has lagged behind Dell and RIM (Blackberry) for several years, reports Nextgov. Even with Apple clearly a leading contender, though, Baker and other VA officials insist they will not limit themselves to iPads, and will support Android and Windows OS tablets. The VA also will allow a mix of personal- and government-owned devices. RIM’s PlayBook may have a jump on the competition, as it received a security certification from the National Institute of Standards and Technology in July. Apple has a certification request pending, NIST officials tell Bloomberg Businessweek. But the VA isn’t waiting for vendors to create a totally secure device. Instead, officials have asked the mHealth industry for information on mobile management systems to secure email streams and control access to agency networks. It’s a problematic approach, according to Rick Dakin, CEO of Louisville, Colo.-based IT risk assessment firm Coalfire Systems. His take: During data transmission, the key to decoding a message is embedded within it, offering a chance for hackers to gain access. Many mobile management systems do not protect the embedded keys, Dakin says. Once they’ve sorted out the devices and security concerns, what kinds of apps will your VA colleagues be using? While the first project on the runway for the tablets likely could be based on computerized patient records, Baker revealed in a media briefing that apps for heart rate monitoring and on-the-spot blood analysis also will be top priorities. Baker also is eyeing remote patient monitoring and telehealth to provide care to veterans at home.